Home News Entertainment-News Are You Ready For Nambya Dancehall? Are You Ready For Nambya Dancehall? Dancehall is regarded as the biggest musical phenomenon in post-independent Zimbabwe since Urban Grooves and is most popularly sung in Shona, emanating mostly from Harare, more specifically Mbare Township. It seems hardly conceivable that Dancehall could ever be made in Bulawayo, and in any other language. Are You Ready For Nyanja Dancehall? The impossible has happened! Wa-B.B. drops his debut album Kwejah this week and anyone who has sampled it will tell you it’s scorching! The eight-track offering is packed with hard hits backed by monster beats produced by Garreth ‘Skwibb’ Morris and Bukhosi ‘Biko’ Maphosa. Wa. B.B. is clearly not your typical artist: for one he drops his fire in Njanja… Now how many songs have you heard in Nyanja? Take your time, we’ll wait! It was our first time as well on this album with the opening track ‘Banakwaina’ with which he announces his presence into the game. It’s one of those tracks you don’t have to understand to stop and say, “okay, you have my attention!” It’s a beast of a track, perfect for the highway, the dancefloor or anyplace which needs a feel-good track…if you are not afraid of busting your subs! For seconds he is multi-lingual and this effortlessly comes through in his music. Track three: Jah Vakaronga is in Shona, a groovy spiritual offering where the artist reminds the listener that come what may, Jah is watching. The socially conscious ‘Baby With A Baby’ is in English. Wa.B.B. chants alongside the vocally dynamic lady Fari J, it’s definitely one of the finest ragga duets we have heard in a while. One of the finest lyrics in the album have to be on Run Away’, which features ‘Biko’ and DBNNK, the raps are great, but you don’t have to go that deep into the track to be appeased, you’ll will be instantly hooked by the opening lines: ‘When they don’t know what to say/Come too far to pray/When they come too far when they come too far only He will know the way’ which make it a great meditative track. Wa-B.B. is a Bulawayo boy of course, so don’t get alarmed when you hear him spit a line in Ndebele here and there. So all in all what can you expect? A tight album, multilingual tracks you can jam to with spiritual, socially conscious lyrics and great production and great sound. 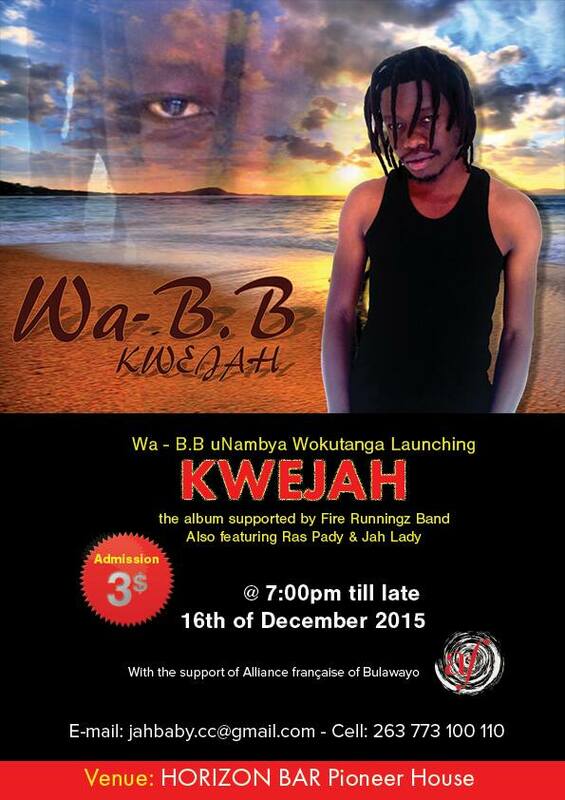 Spoiler alert: Wa.B.B has a very unique and dynamic voice, you will be thrilled by his range.